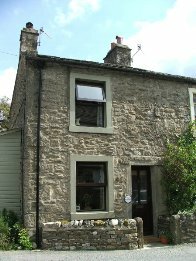 Built in 1840 and once home to 19th century lead miners, Oak Cottage Grassington is the ideal self catering base from which to explore Wharfedale and the Dales National Park. Situated a few minutes walk from the main street and market square of the picturesque town of Grassington in the Yorkshire Dales National Park, Oak Cottage is 9 miles from the bustling market town of Skipton. For self catering, you will find everything you need in the Grassington high street. If you're eating out Grassington offers 3 pubs that serve food as well as 2 restaurants and a wide range of tea rooms and cafes. There are many interesting walks from the front door from a walk up the moor to a riverside stroll along the River Wharfe. There is fishing and horseriding available locally as well numerous great cycle routes. 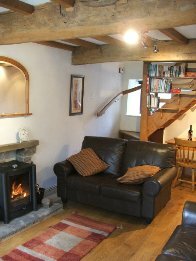 Oak Cottage Accommodation This character cottage has oak beams and a wood burning stove. It sleeps 3 in 1 double bedroom and 1 single. There is off-road parking for 1 car and a small, elevated garden giving a fine view across the Wharfe valley.